More Vintage Wristwatch Cinema – I Already Have a Watch. 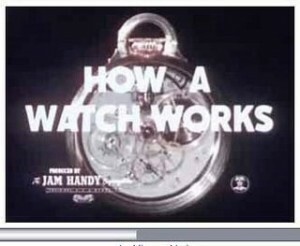 Hamilton’s “How a Watch Works” from 1949 has now been added to the to the video library. It’s a great view if you’d like to be able to understand the workings and theory behind the operation of mechanical watch movements, even if you otherwise might not have any interest in vintage watches. Tagged with Hamilton, Vintage Watches.